Distal Biceps Tear: What You Should Know (Video) - Jeffrey H. Berg, M.D. Your carrying something. You feel a sudden pop in the front of your elbow. There is immediate pain and a deformity of your biceps. What did you do? Well, you may have torn your distal biceps. What is a distal biceps tear? A distal biceps tear refers to the partial or complete disruption of the end of your biceps tendon where it inserts on your upper forearm at your elbow. We are all familiar with the biceps. It is the muscle in the front of the arm. What many don’t know is how the biceps is connected to you and how it works. The biceps has two tendon connections around our shoulder: one that runs through the shoulder joint and one that connects to the front of our shoulder blade. Distally, however, the biceps tendon only has one connection. It attaches to our forearm at a bump, called the bicipital tuberosity, on one of our forearm bones, the radius. Most are aware that the biceps acts to bend (flex) our elbow as is needed while scratching our nose. But the biceps has other muscles helping it with this role. So the biceps is not critical for us to complete this motion. Where it has its most important use is in turning our palm up (supination). A distal biceps tear can limit our ability to perform this function against resistance. 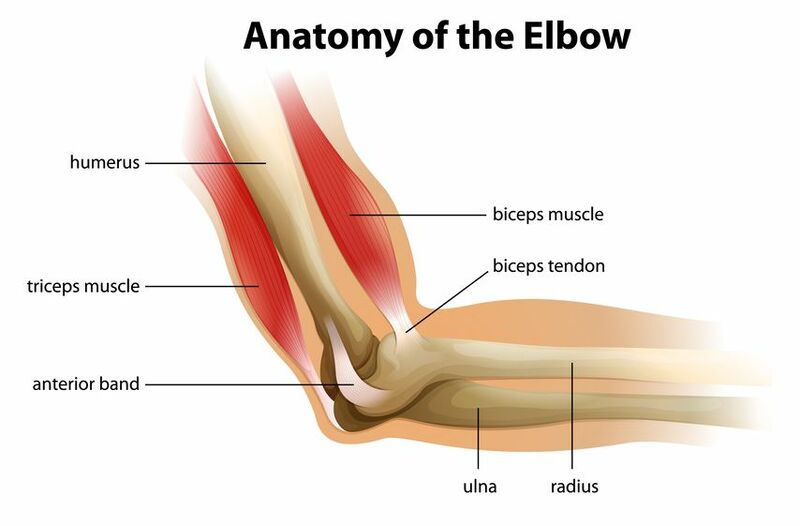 Carrying something with your elbow bent is the most common cause of a distal biceps tear. Most commonly, people – almost always males, by the way – are carrying heavy objects, like a sofa, refrigerator or barbell. Another common mechanism is catching a moderately heavy object as it drops. Finally, you can also tear your distal biceps when grabbing on to something as you fall or while pulling yourself up or pulling someone or something toward you rapidly or with great force. You will know when you tear your distal biceps tendon. You will feel, and maybe even hear, a “pop” in the front of your elbow and the palm side of your upper forearm This usually is painful. Shortly afterward, there will often be swelling around the front of the elbow with black and blue skin developing over the inner side of your elbow and upper forearm. Often there will also be a concerning deformity. 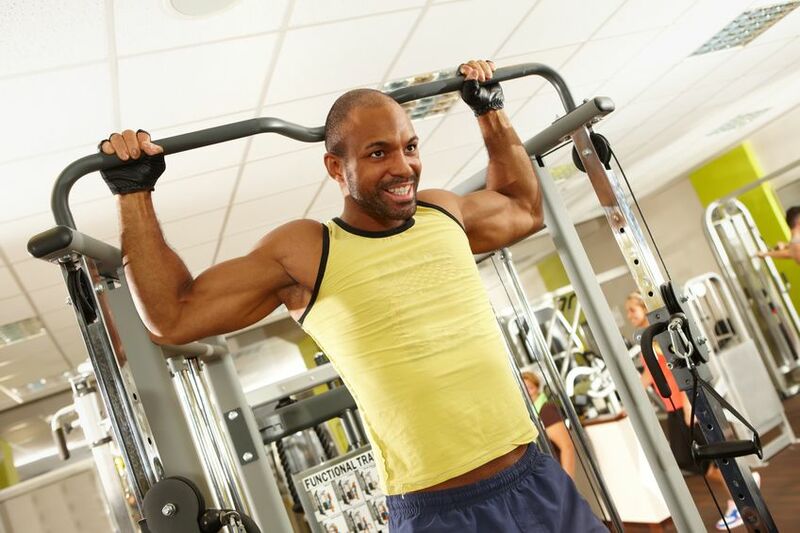 Because the biceps muscle is no longer tethered to your forearm by the distal biceps tendon, your biceps muscle will often shorten – giving the appearance that it has migrated up your arm. Usually, there is a noticeable difference between your arms. WARNING!!! Some may find this video disturbing. It is a compilation of videos showing athletes tearing their distal biceps tendon during training or competition. If you think you have torn your distal biceps tendon, you ought to seek care and even though it’s not an emergency, the sooner, the better. These injuries are much easier to treat if we can address them in the first couple of weeks. At your evaluation, your doctor will listen to your story. The history is often diagnostic. A physical exam will almost always be confirmatory. Xrays usually will be obtained to rule out any fractures or potential associated injuries or issues. On occasion, the diagnosis still will be unclear. If so, your doctor may order an MRI. Initially, controlling your pain will be the focus of treatment. Managing the pain can usually be effectively achieved with over the counter medications and, at times, a sling. Your activity level and goals will determine the definitive treatment. Most people will usually require surgery. However, for those who are rather sedentary and willing to accept the deformity and some weakness of their elbow, nonsurgical treatment consisting of physical therapy may be an alternative. 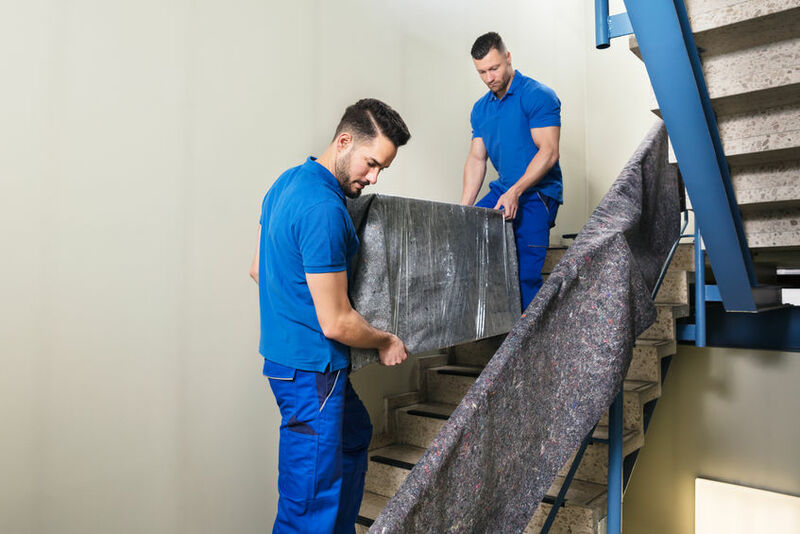 Since the usual mode of injury involves lifting heavy objects, most people who sustain a distal biceps tear are often participating in lifting and carrying activities and therefore won’t be satisfied with the results of nonoperative treatment. For this reason, a distal biceps tear is nearly always treated surgically. The goal of the surgery is to reattach the end of the torn tendon to the radius bone at the tendon’s anatomic attachment site. There are several ways to perform the surgery. Sutures in the tendon can be passed through drill holes in the bone and tied. Devices called suture anchors can be used to fix the tendon to the bone. Finally, a screw can be used to secure the tendon in a hole created in the bone. Two incisions, one in the front of your elbow and one in the back or just one incision in the front of your elbow can be used to perform the surgery. No matter the technical specifics, the goal is to hold the tendon near the bone long enough for it to heal to the bone. Almost always after repair, the tendon and elbow will be tight and neither you or your doctor will be able to straighten your elbow completely…Nor would you want to. It will take at least three months for your tendon to heal to the bone. Until that time, too much force on the tendon, either by straightening the elbow past its limit or using your biceps for lifting relatively heavy objects, can pull the tendon off the bone and disrupt the repair. As a result, usually, for some time after surgery, your motion may be restricted by a brace. Ultimately, to help regain full function, physical therapy will often be needed. Complete recovery can take six months or so. Fortunately, however, the elbow will have recovered enough that you will be relatively asymptomatic by 3-4 months. A distal biceps tear is a common elbow injury in active people. It often occurs while lifting and is associated with an acute pop, pain, swelling and frequently a concerning deformity. These injuries nearly always require surgery, but fortunately, the postoperative recovery is simple, straightforward and usually predictable. Arthritis: What Is It & What Are The Symptoms?